Making buñuelos during the holidays warms up the kitchen and home perfectly. What I like about the soft doughy pillows is how they fluff up when you fry them. Don’t worry about the shape. It is not worth fretting about, believe me. At first I tried to make them perfectly round, but quickly gave up. There are bigger things to worry about during the Christmas season. If you insist, try a tortilla press to quickly and uniformly flatten your dough before frying. The recipe below adds a bit of Mexican chocolate to the flour mixture. The amount is not overpowering. You just get a hint of chocolate flavor. You can now find the Abuelita chocolate in the granulated form so you don’t have to melt down the disk. Get creative with the toppings. My mom would use items she had in the pantry, such as cinnamon sugar or honey. Piloncillo syrup or even fresh fruit with powder sugar would be a nice touch. Heck, a scoop of good quality vanilla ice cream would even work. Combine 1 tablespoon Abuelita chocolate, sugar and cinnamon in small bowl; set aside. Sift flour, remaining 3/4 cup Abuelita chocolate, baking powder and salt into large bowl. Divide dough into 24 balls.Cover the dough balls with a clean cloth; let rest for 20 minutes. Roll out each ball on a lightly floured board until about 4 1/2 to 5 inches in diameter and 1/8-inch-thick. Sprinkle reserved Abuelita mixture over fritters as soon as you remove them from the skillet and allow to drain on paper towels. Sprinkle with sparkling sugars, if desired. 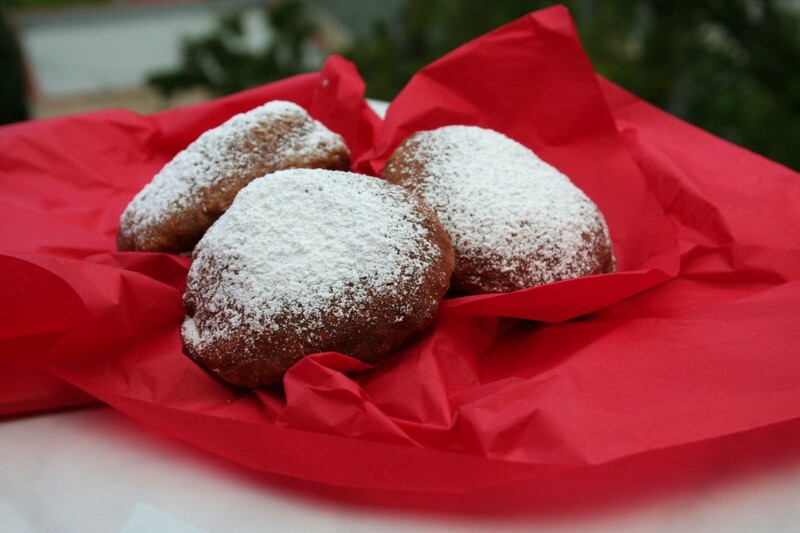 If using powdered sugar, allow to cool completely. 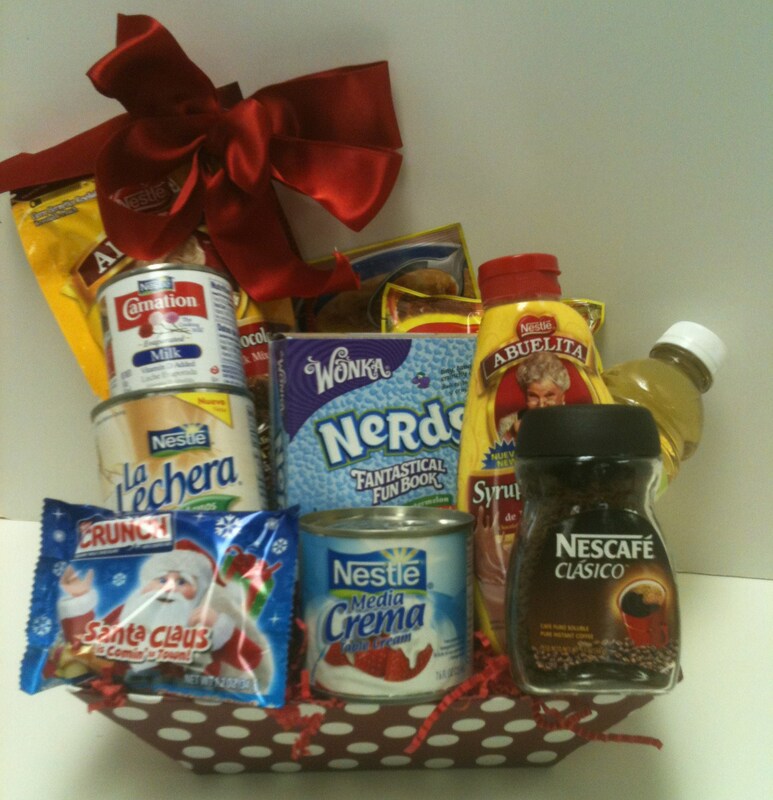 All you have to do is leave a comment on this post telling us what your favorite Nestle brand is for the holidays and win a Nestle holiday gift basket ($50 value). Deadline is Thursday, Dec. 20th! This was a sponsored post, but all comments and opinions were our own.